You can never have enough Christmas decoration, right? There is a technique called “Reifendrehen” that involves a lathe, but you can use the basic principle to make a bunch of similar pieces on your table saw as well to produce mass ornaments. Watch the video to see how it works, and read on for some additional considerations and a video (not mine) about the original technique. There are some limitations to this idea, based on the geometry of the saw blade. For starters, most sawblades that are intended for through-cuts come with alternating tooth angles, leaving a kerf that looks like an “M” if you exaggerate it. There are sawblades with a flat grind, that leave a flat kerf, which is generally the best way to make dados and grooves on the table saw. Here, this can lead to some additional sanding, but should not be too much of a problem. 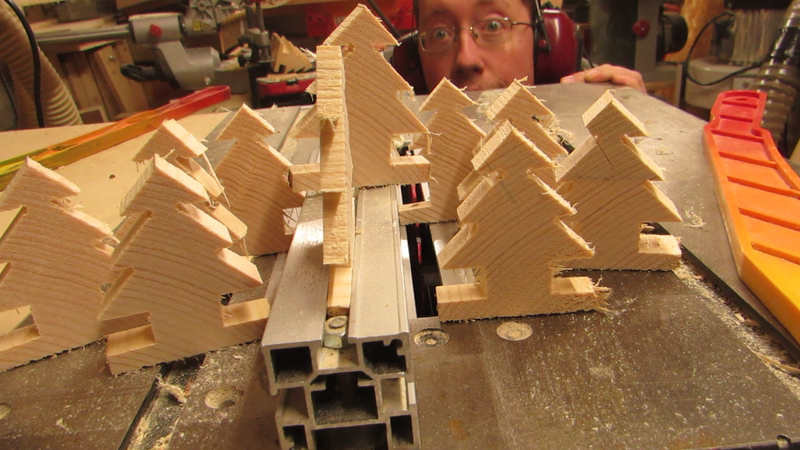 The other limitation is that the saw blade, no matter the grind, cuts away a flat rectangle, and can never really produce an acute angle inside the material (it works on the outside, as you can see on the trees). So you either have to design your piece so that such angles are not required, or you need to do some additional shaping afterward. But as always, you can make this part of your design, or chose to use shapes that do not rely on acute angles as much. Just keep in mind that you need to have the piece rest securely on the table of the saw because getting hit in the stomach (or worse) by an astonishingly intricate piece of wood is just as unpleasant as being his by any other piece of wood. The technique that these mass ornaments are based upon is traditionally used to make wooden animals for Christmas decoration in and around the town of Seiffen in the Ore Mountains region, and it is something that is often associated with a certain style of ornaments. The idea is to turn a large ring of wood and give it the cross-section of the desired animal. Then, you cut the ring into small slices, do a few cuts with a carving knife, and you have, say, a horse. Watch this video from a German kids program to get an idea of this traditional technique – you do not actually need to speak German. You can find more Christmas projects here. 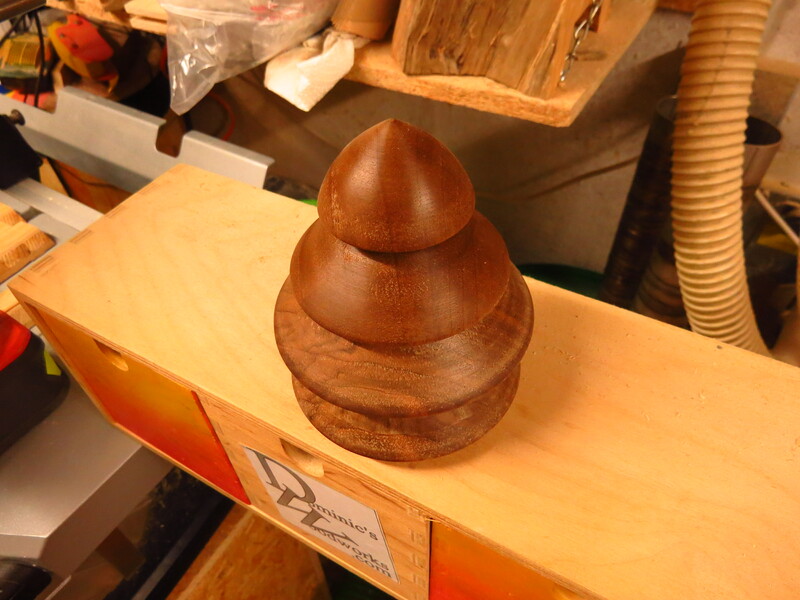 And if you are more into wood made round, you can find woodturning projects here. And if you like what you see, subscribe to my email newsletter so you never miss a release! Thanks for reading and watching, and as always, remember to be Inspired!